For $25 per month, you'll help a child receive a private education; helping them stand tall, have hope and be free from poverty! Sign Up - Sponsor A Child Today! SPONSORING A CHILD GIVES NEW LIFE. Your monthly donation of $25 per month is changing a life of a child in Uganda and they are relying on you to stay committed to them and provide them with an education until they graduate. It's a big deal for you to give monthly to a child you may never physically meet (we get that) - but we know that the relationship you will build with the child you support and the impact you will have on their life is totally worth it! The child you sponsor will know you and you will know them. Your child will rely on your monthly support to attend school. They will look forward to writing you letters on their progress and reading your words that will encourage them to work and study hard. They need you. You sign up to sponsor a child and the Project Orphans Team introduces you to your sponsored child. You can look forward to receiving a letter from your child within 6-10 weeks. It is the beginning of your personal relationship, and a fuller life for the both of you! Each Project Orphans Scholarship package includes: tuition, school materials, school uniforms, meals throughout the day at school and a personal relationship built with the child's caregivers or family. Local Staff Will Oversee Your Child's Progress. The local staff at Project Orphans help assure that your child is attending school and making progress in their studies! We work with the child's teachers, caregivers and family to ensure everyone is on board to helping your child achieve their goals and take advantage of this opportunity. The Opportunity To Send & Receive Letters With Your Child - Yearly Photos - Frequent Updates On Your Child's Progress - A Chance To Meet Your Child! 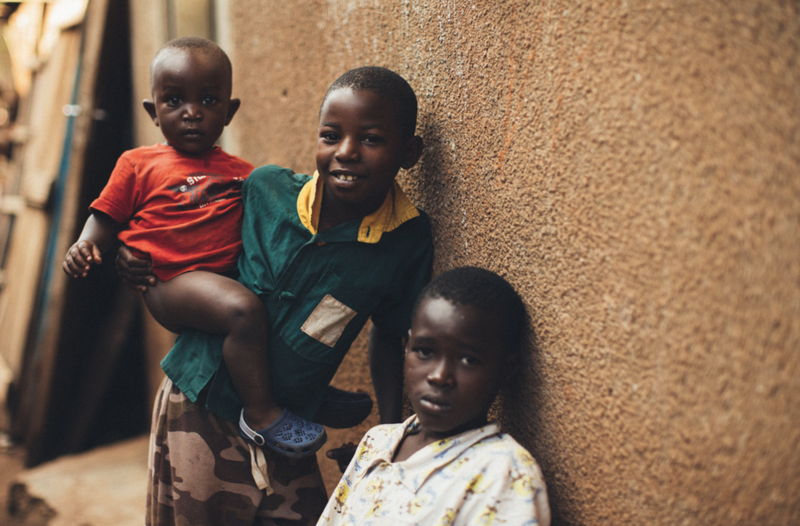 Our on the ground team, in Uganda, locate children in high-poverty and high-risk areas where children are unable to attend school + afford an education. After enrollment, our scholarship recipients must maintain at least a 80% attendance rate to continue receiving a scholarship with Project Orphans. Each Project Orphans Scholarship package includes: tuition, school materials, school uniforms and other fees.